The muscular “Dr. Tony Huge” has helped draw more than 100,000 followers on a YouTube channel linked to Enhanced Athlete Inc., the subject of a SARMs-related enforcement action that federal authorities declined to discuss. INSIDER first reported on Hughes and Enhanced Athlete in July 2017, after the U.S. Anti-Doping Agency (USADA) warned athletes about SARMs found in products marketed as sports supplements. Hughes, according to Enhanced Athlete’s response in September to a civil lawsuit, isn’t actually a medical doctor; his fans bestowed the nickname upon him. The buff lawyer has a larger-than-life personality. In one of his videos welcoming people to his YouTube channel, a shirtless “Dr. Tony Huge” is seen hanging out with attractive, scantily-clad women and buzzing around in a sports car flexing his bicep. “[F]ollow along with me and learn as I learn how to beat this game of life,” Dr. Huge said. FDA and other government organizations executed a search warrant on Dec. 6 at several locations, including a manufacturing facility controlled by Enhanced Athlete, seeking to find and confiscate ostarine, 2,4-Dinitrophenol (DNP) and other research chemicals, according to the company and its chief executive officer, Scott Cavell. FDA seized raw materials and hundreds of thousands of dollars in finished and unfinished products, according to the company. “We believe this to be the first time that the FDA’s criminal investigation unit has executed a search warrant related to SARMs,” Enhanced Athlete noted in a statement, which was referenced by its followers on the company’s website. Enhanced Athlete suggested the local fire marshal condemned a building searched by federal authorities due to three unpermitted outlets. Enhanced Athlete expressed hope it could regain access to its main production facilities and return to manufacturing products before Christmas. According to the company, FDA will allow Enhanced Athlete to continue operations once it is cleared by the fire marshal. Lyndsay Meyer, an FDA spokeswoman, said the agency does not comment on possible or ongoing investigations. Lauren Horwood, a public information officer with the U.S. Attorney’s Office in the Eastern District of California, also said the agency does not comment on investigations either to confirm or deny them. As of Dec. 14, no public court record of a search warrant involving Enhanced Athlete could be found in the Eastern District of California. Federal search warrants are often under seal during an investigation by the government. The FDA raid of Enhanced Athlete’s facilities came on the heels of a warning by the agency against the use of SARMs, which have been the subject of clinical research by the pharmaceutical industry. In warning letters to three sports nutrition companies in October, FDA reported SARMs—including ostarine and LGD-4033—have been authorized for investigation as a new drug and are the subject of substantial clinical trials that have been made public. Consequently, FDA noted, products containing SARMs are excluded from the definition of a dietary supplement under federal law. The warning letters advised the companies that their products are unapproved new prescription drugs in violation of the Federal Food, Drug & Cosmetic Act (FDCA). 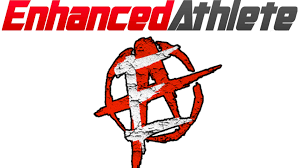 Enhanced Athlete did not receive a letter from FDA. He nonetheless observed Enhanced Athlete’s European division was raided in September for selling DNP on its website. Around 11 kilos of DNP was found at premises in northern England believed to be used by Enhanced Athlete, reported the Guardian, a British-based newspaper. DNP has been approved for commercial use “as a primary ingredient for herbicides, pesticides, sulfur dyes, wood preservatives and fertilizers,” and it’s classified by the U.S. Environmental Protection Agency as an environment contaminant, according to a lawsuit filed in October against Enhanced Athlete, Cavell and Hughes by a sports nutrition competitor, Nutrition Distribution LLP. Ingestion of the substance causes potential side effects, including acute kidney injury, cataracts, coma and death, the lawsuit proclaimed. Other potential side effects include agitation, confusion, convulsion, cardio vascular collapse, hypothermia and skin lesions, according to the complaint, which referenced peer-reviewed clinical studies since the late 1930s. “DNP was one of the main impetuses for the passage of the Food, Drug and Cosmetic Act in 1938, which prohibited the sale of DNP, among other substances, for human consumption,” Nutrition Distribution noted in its lawsuit. Since 2015, consumption of DNP has resulted in eight deaths in the United Kingdom, the Food Standards Agency (FSA) reported, adding the substance is known to be sold illegally online and in gyms to help with weight loss. Joanna Abishegam-David, an FSA spokeswoman, declined to comment on the searches that were carried out in England. She referred INSIDER to a press release and said the case is currently under investigation. In a Sept. 6 press release, FSA noted efforts were being made to identify and speak with individuals connected to the seizure of DNP. The agency did not identify Enhanced Athlete or anyone else as a suspected culprit. FDA is understood to be collaborating with agencies in the UK, according to the Guardian. In the U.S. raid, Cavell noted FDA seized all inventories of Ostamuscle, its best-selling product that contains ostarine (MK-2866). In addition, he said the agency took samples of every other product sold by the company. However, the Nutrition Distribution lawsuit alleged Enhanced Athlete used a website (TheFertilizerWarehouse.com) as a front for selling DNP. According to the lawsuit, Enhanced Athlete identified the latter website as one of its “USA sites,” specifically identifying it as selling DNP. “At some point, Enhanced Athlete ceased placing DNP on its official website, and began explicitly directing consumers to thefertilizerwarehouse.com to purchase DNP,” the lawsuit alleged. An advertisement for The Fertilizer Warehouse (aka Gilmore Engineering) listed the same address in Carson City, Nevada as a business (HC Pharma Tech Inc.) for which Cavell is listed as president in a document filed in August 2017 with the Nevada Secretary of State. TheFertilizerWarehouse.com had been temporarily taken down, displaying only a message that improvements are being made and customers should check back after Christmas. In an answer filed to the lawsuit in November, Enhanced Athlete denied “it markets DNP products ‘to bodybuilders, gym users, fitness enthusiasts,’ etc. or that it markets its products to end users at all.” A federal court previously denied Nutrition Distribution’s request for a preliminary injunction against Enhanced Athlete, Cavell and Hughes to prohibit the production, licensing, marketing and sales of DNP products. U.S. District Judge John A. Mendez ruled on Nov. 13 that Nutrition Distribution failed to show it would suffer “irreparable harm” without the relief. While Nutrition Distribution argued DNP poses a serious risk of harm to the life of individuals who ingest it, the judge found there was no legal authority to grant a preliminary injunction based on alleged harm to third parties. FDA’s raid against Cavell’s firm is hardly his first encounter with law enforcement authorities. In 2014, he was sentenced to five years in prison and ordered to pay $7.4 million in restitution for committing wire fraud. As part of an earlier plea agreement he entered, several other criminal counts were dismissed against him. Cavell was part of a mortgage fraud scheme in which he and a co-defendant transferred funds out of bank accounts and converted them into “travel-friendly” coins and gold, according to the U.S. Attorney’s Office for the Eastern District of California. Cavell and co-defendant Christopher Warren then fled outside the country with money they wrongfully obtained from a Florida-based lender, Taylor, Bean and Whitaker Mortgage Corporation, federal prosecutors said. After fleeing to Ireland on a commercial flight, Cavell spent nine months in an Irish jail before agreeing to return to the United States, according to the U.S. Attorney’s Office. In a 2012 article, The Irish Times reported Cavell had been convicted of drug charges in Dublin related to the discovery of a cannabis grow house. According to a 2014 article in the Sacramento Business Journal, prosecutors had sought a light sentence for Cavell based on his cooperation in what was then an ongoing prosecution of Lawrence Leland “Lee” Loomis. Cavell had worked as an assistant to Warren for six months at Loomis Wealth Solutions, the newspaper reported. In 2016, Loomis pleaded guilty to wire fraud. According to the U.S. Attorney’s Office, Loomis induced individuals to put their money in investments that he claimed yielded a 12 percent annual return. But he admitted in his plea agreement that the funds were not used as promised, and investors walked away empty-handed, federal prosecutors said. Cavell told INSIDER he “got caught up” in Loomis’ investment scheme. “I quit when I discovered the fraud, but it was too late,” he said. While Cavell said all charges against him related to the Loomis scheme were dropped, U.S. prosecutors still held him responsible for the embezzlement of funds from Taylor, Bean & Whitaker, leading to his incarceration in the United States. Cavell told INSIDER Hughes is not paid direct compensation for his endorsement of Enhanced Athlete and is not an officer of the company or any related organization. In one video featuring Hughes on the “EnhancedAthlete” YouTube channel, he discussed the impact of ostarine on natural testosterone. The opening of the video showed a picture of Ostamuscle. Hughes said he was in Shanghai, China for EnhancedAthlete.com getting ready for an exposition the following day in which he would be learning about supplements that would come out in the future. Hughes examined whether ostarine suppressed natural testosterone or caused shutdown of testosterone. He said his answer to the question was based on his personal experience, the experience of bodybuilding coaches, amateur and professional bodybuilders with whom he works, and feedback from viewers. Hughes reported he has experienced shutdown—a substantial shrinkage of the testicles—while taking a powerful steroid. He maintained ostarine didn’t have the same effect on him. Near the end of the nearly 9-minute video, Hughes cautioned his observations did not reflect a scientific study. Federal regulators often look to testimonials in examining how a company’s products are marketed. The lawyer said FDA has attributed official company websites, as well as sites controlled by third parties including affiliates of a specific company, to the company itself. Cavell said Hughes is currently in the Philippines. In response to an emailed request for comment for this story, Hughes said he would “check with the lawyers.” He hadn’t commented further as of the time this article was published. However, the website features reviews of the products, including those containing the SARMs ostarine (MK-2866), ligandrol (LGD-4033) and cardarine (GW-501516). In a YouTube video posted on the EnhancedAthlete channel, as part of a multi-part series showing Dr. Huge’s experience taking DNP, he said (near the 0:22 mark), “Here’s the ‘supplements’ I’m taking,” as he named and showed Enhanced Athlete’s ligandrol and cardarine products. “Here, you have a company just taking products someone else owns, selling them without any disclosure as to their harmful effects, profiting from it and then claiming that they have some sort of patriotic freedom to piggyback off the work of others without compensating them, and to endanger the public while doing so,” said Robert Tauler, an attorney representing Nutrition Distribution, in an emailed statement. Following the raid in Sacramento, Cavell maintained FDA gave his company “the green light to continue operations,” but he acknowledged that didn’t necessarily extend to the manufacture of SARMs. However, he also said the agency “did not tell us to stop either. FDA reiterated it doesn’t comment on ongoing investigations.